Do you love nut drinks free of additives? Today I’ll show you how to make easily at home and some smart ways to use it. I’ve also added a short “how-to” video below. Power packed with nutrients, almond milk without added sugar can keep you in shape and full of energy. Do you think that this plant-based drink is only something for vegans? Think again! 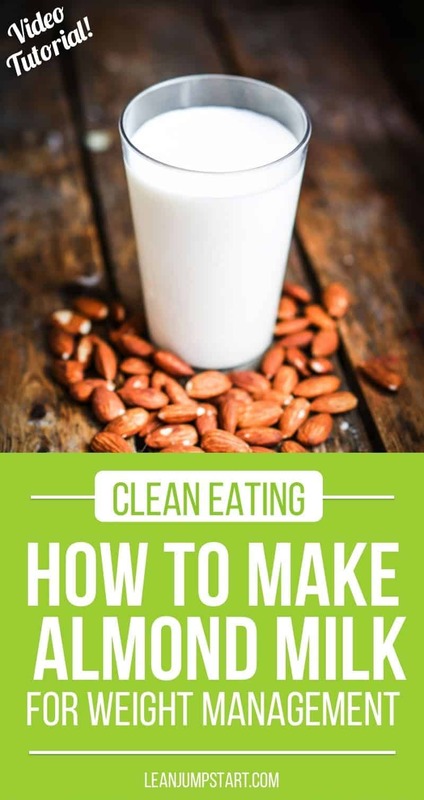 Integrating this gluten-free drink in your nutrition helps you further decrease animal fats while optimizing your clean eating and weight management. If I would have known that incredibly easy recipe earlier, I would have tried it sooner. By the way, this self-made drink is significantly cheaper than the expensive and often artificially sweetened store-bought nut milk bag. Before we look further into the benefits and nutrition facts, let us jump right into the easy recipe. For 1 liter of nut drink, you need only a few ingredients. Wash the almonds thoroughly in a strainer under current water. Rinse soaked almonds again in a strainer and allow them to drip off. Put them in your kitchen machine with approx. 1 cup of hot water. 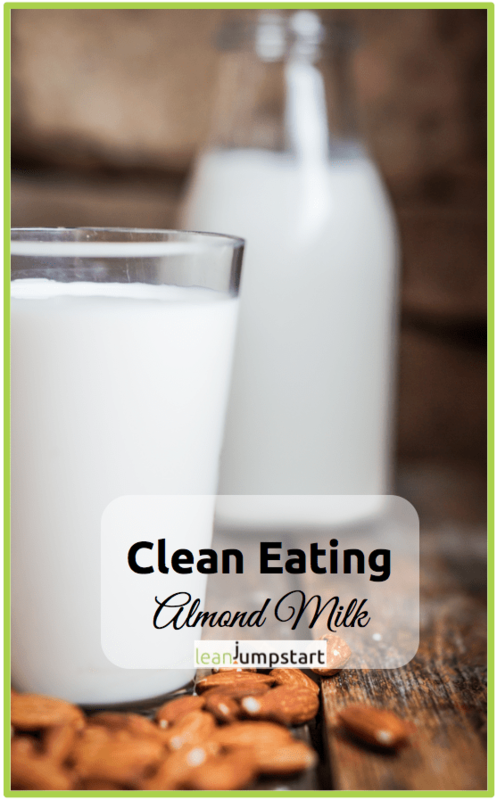 Pour almond milk with nuts through a sieve fabric placed over a strainer into a large bowl. Squeeze the nuts in the cheesecloth thoroughly to use up even the remaining liquid. Consume it immediately or keep it up to 4 days in an airtight container in the fridge. For a little sweetness, you can add 1 teaspoon of honey or 2 dates before mixing. I’ve even created a short video for you showing you step by step how to make your own nut milk and maximize its health benefits. Click below to watch the video and feel free to spread some social love, share and like it! Like cow milk, this protein-rich drink is very flexible and a real jack of all trades. With its fine nutty taste, it’s a unique alternative to dairy products. To reap its health benefits you can use it in many ways: as a plain drink, in coffee, as a base for pudding, in smoothies, in homemade muesli with fruits and cereals. You can also use this homemade nut milk for baking. Tip: If almonds aren’t your favorite nut, you can replace them with other nuts such as hazelnuts, pecans, or walnuts for a different drink. Simply choose your preferred nuts and follow the steps above. Almonds are real powerhouses: With their extremely favorable combination of valuable unsaturated fatty acids, trace elements, and minerals, they are actually among one of the healthiest foods. Plenty of vitamins: The fruits of the almond tree contain a considerable amount of vitamin A, B1, B2 and D as well as the antioxidant vitamin E, which protects our skin from free radicals. Protein boosts satiety: Almonds consist of one-fifth of valuable protein that helps with satiation and supports weight loss and weight management. The same is true for almond milk: Although hot water is added, the nutrients in it are still safe. Modest calcium content: According to the USDA, homemade almond milk contains only 1 gram of calcium per cup, dairy milk contains 8. That’s why many commercial nut milk brands fortify it with calcium. By the way, you can easily increase your calcium intake by eating more legumes, broccoli and dark leafy vegetables. But calcium is not the only important mineral. The nut drink contains also magnesium and copper. Almond milk vs soy milk: This nut milk is also a good alternative to soy milk. If you have a thyroid disease then too much soy may be a problem. Homemade almond milk vs processed: Most commercial brands add Carrageenan to their processed milk. This is an additive derived from seaweed and is used as a stabilizer and thickener. Some studies connect carrageenan with inflammation and ulceration, some show no adverse effects. Because the evidence isn’t conclusive either way, my recommendation is to avoid carrageenan, especially if you have digestive problems. 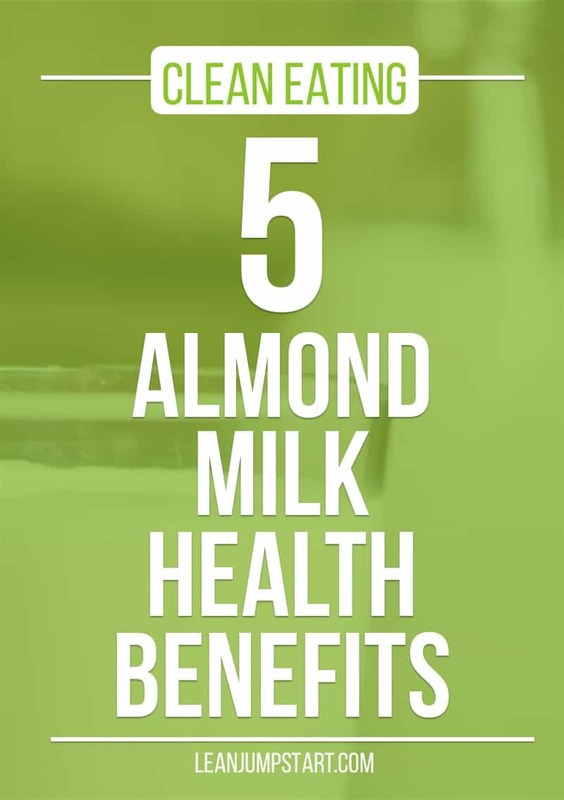 Almond milk is an excellent replacement for dairy milk and provides monounsaturated fats which can prevent heart disease! 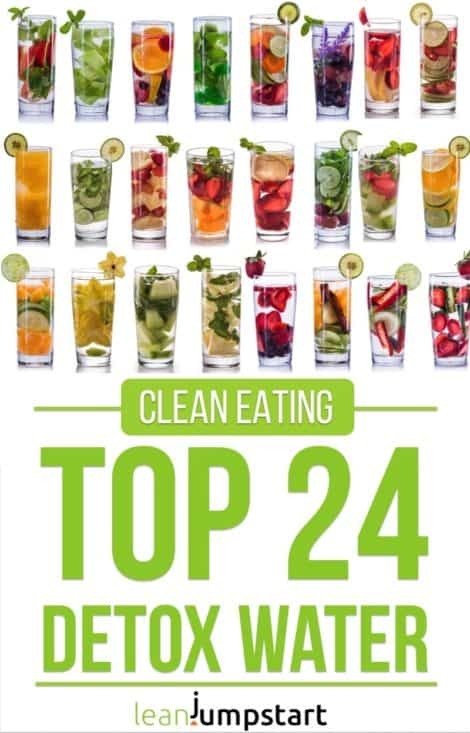 It contains no saturated fat or cholesterol and helps further decrease animal fats in your clean eating nutrition. It is especially suitable for people who are lactose intolerant or vegan. Pesto: just add some olive oil, something green (e.g. basil, arugula etc.) salt and pepper, and add some garlic. Baking: as a healthy ingredient for bread, crackers, brownies, and cakes. Smoothie: Mix banana, cacao powder, almond meal, and some water. Generally, you can add almond meal to almost any smoothie. Sandwich spreads: I have some sweet and spicy variations in my mind. I will post a recipe as soon as I’ve tried it. What is your preferred milk substitute? Are you drinking already almond milk? Let me know your favorite recipe in the comment section below. If you have any other ideas on how to use the almond meal, just let me know. I never heard about the trace element issues. Can you link to a reliable source?